Peppermint is one of my favorite smells. 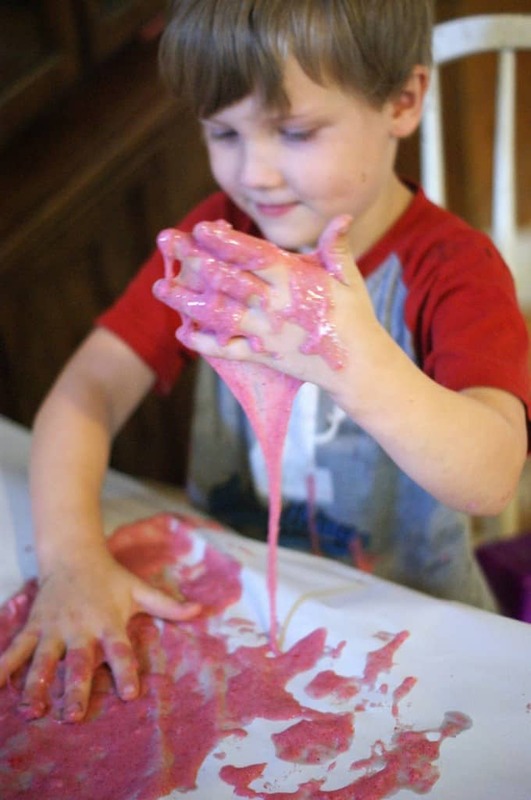 In honor of the coming Christmas season I thought it would be fun to make some sparkly peppermint slime with the kids. 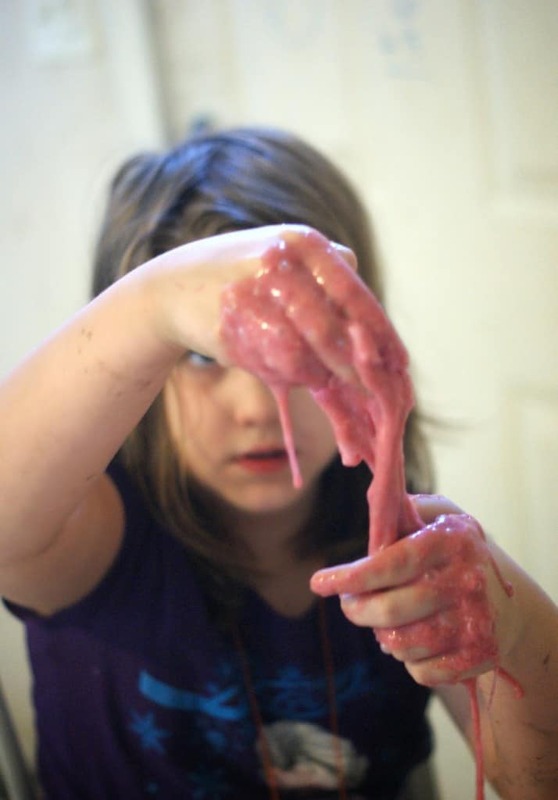 I found the slime recipe over at Colorado Mom’s blog. I knew that with a few tweaks it could get a great Christmas activity for kids young and old. Do not let your child eat this though. The borax is not safe for them. Peppermint Essential oils – 2-4 drops based on how strong you want it. (You can contact me if you want more information about essential oils. Mix borax and 1 cup of water in a bowl. – Set aside for use later. Mix together glue, 1 cup water, peppermint oil, food die, and glitter. Add glue mixture to borax mixture. Stir until you get a slime texture. – If it comes out too waterry add glue. This is about the texture you want. Let your kids have fun exploring it. They will have a lot of fun with the texture of slime. Don’t make my mistake and put down paper to avoid the mess. It will absorb your slime. Store in a jar with a lid when finished. We have been learning about Christopher Columbus in school this year. I decided that R needed to have some fun with a great craft to really help the name of the ships sink in for her. I have also been working on her fine motor skills because she is dysgraphic and I want to strengthen that. This craft is the perfect blend of fine motor skill building and History.